The trekkers and mountaineers are using the Lukla airport each year because it is the gateway to the Everest region. The spring’s mountain climbing season starts in April with a particular uprising. In recent years, the aviation sector of Nepal has been booming. The tourists and goods are flying to remote corners of the Himalayan country with limited access to the roads. All the flights from Lukla operate from Ramechhap as Kathmandu airport is under maintenance of the runway. Lukla airport suspended for 24 hours and resumes it now in operations following Summit Air incident. Summit Air Crashed at Lukla Airport. 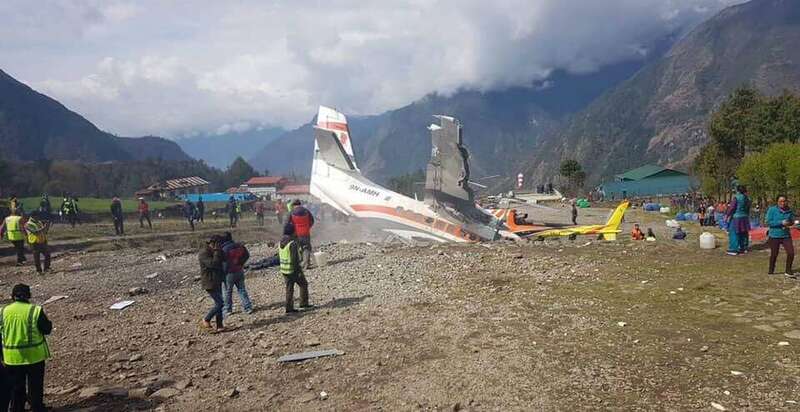 The accident took place at Lukla Airport, the principal gateway to the Everest region. It is one of the world’s dangerous airports for landings and take-off. Summit air skidded from Lukla Airport on the runway, killed at least three people, eyewitnesses and airport officials said. Summit Air is preparing for taking-off suddenly turn-right off the lane into a Manang Air with a captain onboard the helicopter, pulling the aircraft down to a lower helipad, causing flames. There have been at least three killings when a Summit Air 9N AMH aircraft (L410) collided with a parked helicopter. The flight from Lukla to Ramechhap was on a vacant return flight, and no passengers were present. 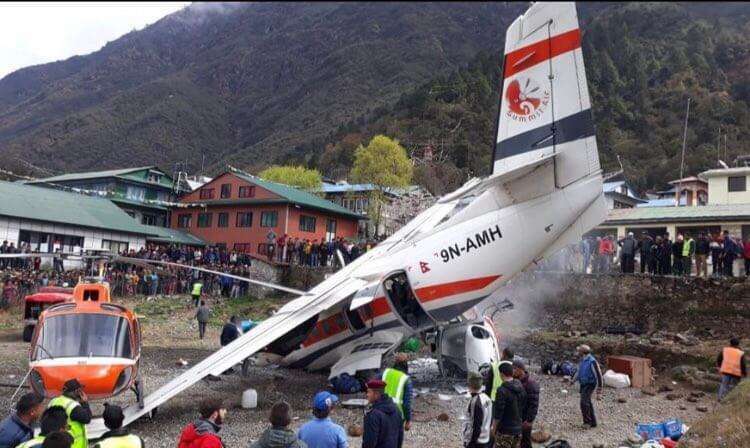 In 2017, another Le410 from the same airline collapsed with poor visibility while approaching Lukla in a cliff a short distance from the airstrip killing both pilots. There have been hundreds of trekkers in Ramechhap, hundreds of hundred waiting for Lukla Airport in the mornings. Each aircraft from Summit Air, Sita Air, and Tara Air flies to open again. Summit LET 410s have several incidents in which the aircraft lost control on the runway, involving nose-gear malfunction. A captured video of this phenomenon in Lukla last year and shows the plane was risking to slide at the edge, almost precisely where Sunday’s collision occurred. 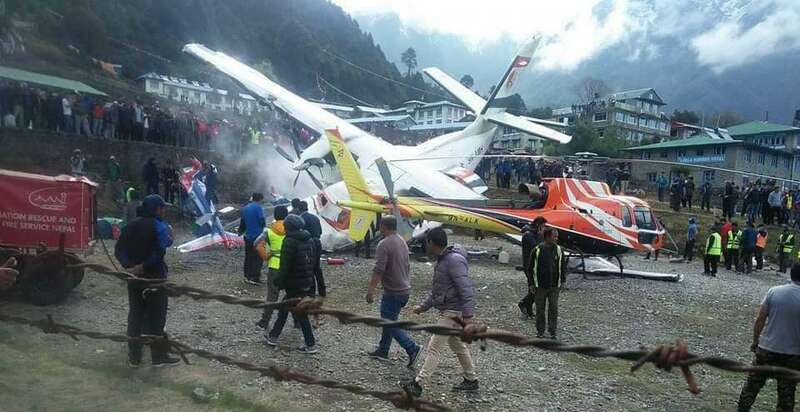 In the incident, the Summit Airplanes and Manang Air helicopter are destroyed, and another Chopper (9N – ALK) of Shree Airline was partially damaged according to a press release issued by the Civil Aviation authority (CAAN). But poor air safety records for the impoverished nation are due to inadequate training and maintenance. All airlines in Nepal were banished from their airspace by the European Union for safety reasons.